Bake your art and watch it shrink! 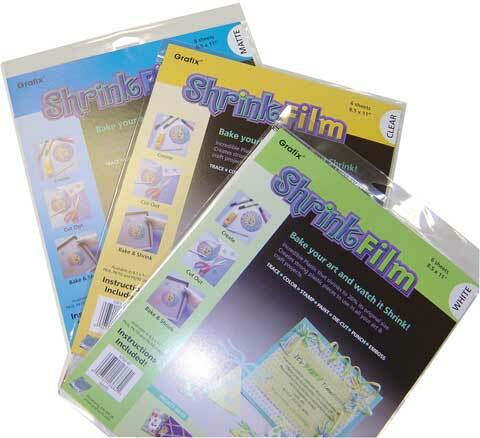 Draw, trace or rubber stamp a design onto the Shrink Film sheet, color it, cut it out and bake it. Use Shrink Film to create unique and personalized jewelry, miniatures, ornaments, cards and more. Inkjet style can be run through a printer. Suitable for all ages (with adult supervision).